On Wednesday, members of the Illinois House of Representatives came up two votes short of overriding Gov. Bruce Rauner’s veto of a bill that would have supplied state aid to fund Monetary Award Program (MAP) grants for low-income students in Illinois. This follows a successful override vote by the Illinois Senate. The House fell short of the override as a result of Democrat Scott Drury voting against the proposal and Democrat Luis Arroyo not being in attendance. The vetoed bill would have allocated $721.5 million for MAP grants for low-income students and operations at community colleges. Not a single Republican in Illinois’ House or Senate voted against the governor, citing the state’s incapability to fund the measure. Kelly continued, claiming the governor is committed to funding higher education and MAP grants but does not want to add to the state’s ballooning deficit or institute tax increases. “All of us want to fund higher education and MAP, and we stand ready to work with the General Assembly to find ways to do so without adding to the deficit or forcing a massive tax increase,” Kelly said. 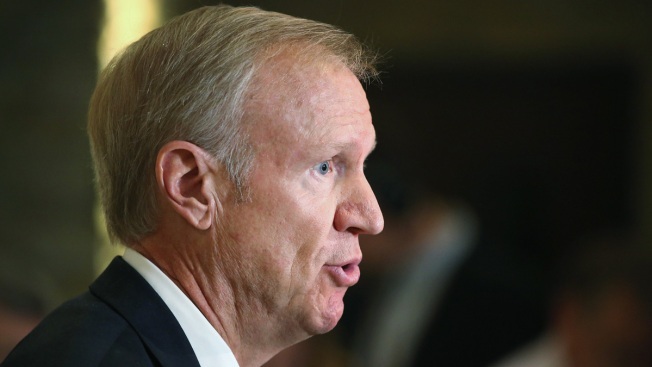 An alternative Republican-backed proposal, supported by Rauner earlier this week, would allocate money for emergency funding to state universities and community colleges by eliminating the special fund repayment requirement. Senate President John Cullerton commented on the Senate’s successful attempt to override Rauner’s veto of the bill Wednesday. Following the House’s unsuccessful veto override, Speaker Michael Madigan’s office announced plans to introduce a new “compromise” plan Thursday. House leaders will consider a bill Thursday to fund programs at levels previously approved by the General Assembly in May. That funding is tied to an additional measure that would nullify a state requirement to repay $450 million borrowed from special funds to shore up budget holes within 18 months.